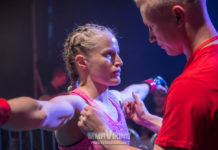 Maiju Suotama (8-3) was back in action outside the cage, as the MMA Imatra fighter participated and won the BJJ No-gi Finnish Championships in Tampere. “Took the BJJ nogi Finnish Nationals womens elite gold for the 3rd time in a row. Have not rolled this little in ages since MMA is my main wifey and grappling is only a side chick for me, only wanted to have fun on the mats and face the best of the best. Dancing with these amazing girls was the best birthday ever!” posted the Finn after the win on Facebook. 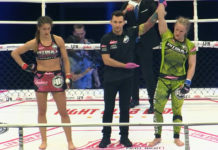 Maiju was dominant last MMA bout against Katarzyna Sadura (3-3) at Ladies Fight Night 8 in Lodz, Poland in December. The ended the bout with a TKO in the second round after taking down and smashing her Polish opponent throughout the bout. 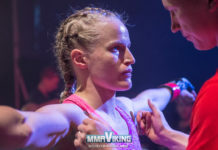 MMA Viking’s Jarno Juutinen was matside to capture the action at the Hervannan vapaa-aikakeskuksessa. Check out photos below. Note : The article was written by Ryan O’Leary. 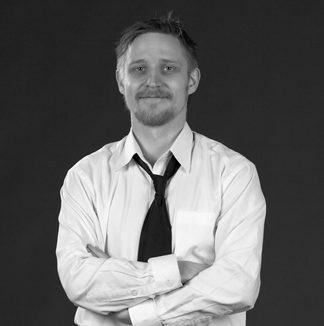 Finland based photographer and videographer. 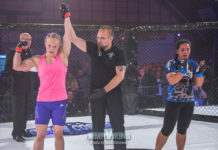 MMAViking.com contributor since 2015. 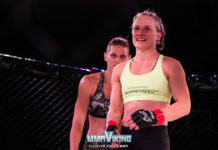 Photos: Maiju Suotama vs. Hatice Ozyurt at Carelia Fight 13.